Music, movement and dance are a fabulous way to bring people together, regardless of age, background or ability! Ri Ri’s Workshops, enriched with fun and laughter, can cater to your requirements, dependent upon your Event. A Dance Workshop with the Academy will create the perfect atmosphere allowing people to improve their skills, interact with one another and enhance their creativity! Our Multi-Award Winning team at Ri Ri’s Dance Academy run Bollywood Workshops for a number of Events. These include: Educational Establishments, Community Groups, Weddings and Mehndis, Parties, Women’s Institute gatherings, outdoor Festivals and Corporate Events. An example of this is when we ran a Dandiya Dance Workshop at the Head Office of Lloyds Banking, in London. Click here to read more. In addition to this, our Bollywood Dance Workshops was featured on ITVBE’s The Real Housewives of Cheshire. Bollywood Dance Workshops with Tameside MBC: Ri Ri’s Dance Academy worked alongside Tameside MBC, once again, providing Bollywood Dance Workshops at The Grafton Centre, in Hyde, Tameside. 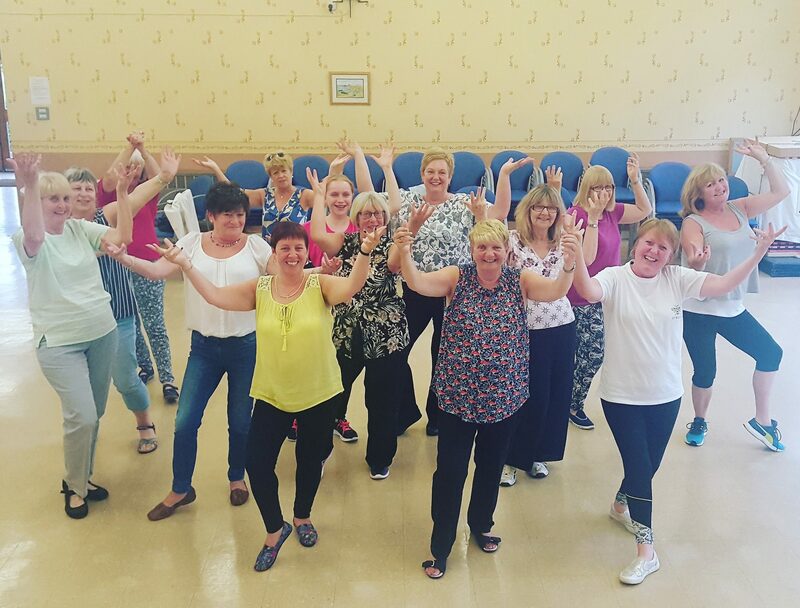 These Bollywood Dance Workshops with Tameside MBC gave the ladies of Hyde a taste of Bollywood Dance in two Tester Sessions. In each Workshop the students learnt a one minute Bollywood Dance routine to an upbeat, smash hit song from a Bollywood song! As well as learning a routine to The Break Up Song, the lovely ladies, additionally, learnt a routine to the first part of Dhating Naach. The Bollywood beat, with a hint of Bhangra, was infectious for all and smiles were captured around the Hall, as our students ‘hip-dropped’ and ‘light bulbed’, in style, around the space! The Bollywood Dance Workshop with Tameside MBC were a huge success!